You are at:Home»iPhone»Apps»How To Download Podcasts On iPhone: The Simple Guide! 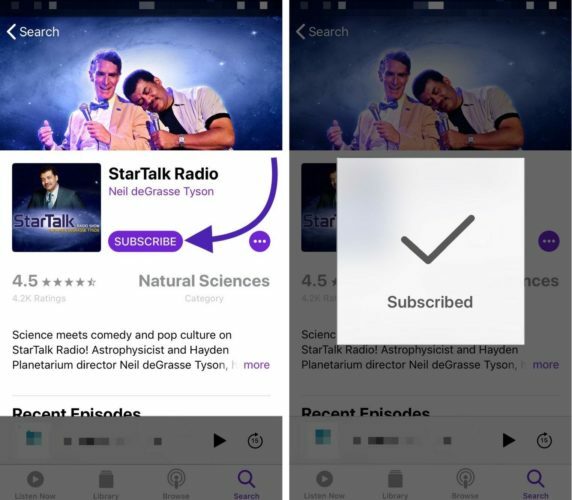 You want to listen to your favorite podcast on your iPhone, but you’re not sure how. Did you know you can download thousands of different podcasts directly from your iPhone’s Podcasts app? In this article, I’ll show you how to download podcasts on your iPhone! If you have a specific podcast in mind, open the Podcasts app and tap the Search tab in the bottom right-hand corner of the screen. 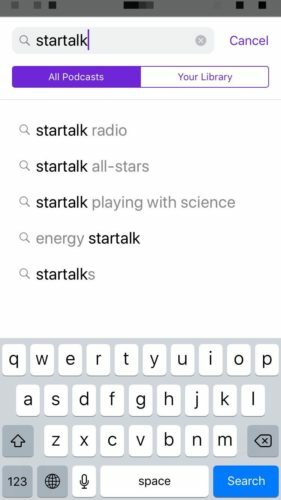 Type the name of the podcast you’re looking for in the search box, then tap Search in the bottom right-hand corner of the keyboard. Next, tap on the podcast you’d like to download. Finally, tap Subscribe on the main page of the podcast. You’ll know you’re subscribed to the podcast when it Subscribed on the screen. Now when you tap on the Library tab in the Podcasts app, the podcast you just downloaded will appear. 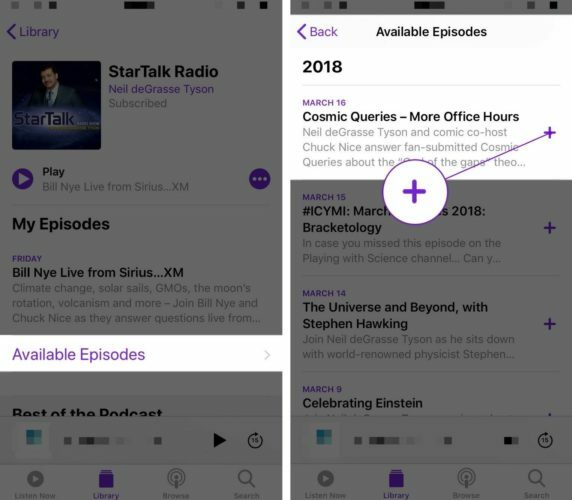 To download episodes of the podcast, tap on the podcast in your Library, then tap Available Episodes. Then, tap on the small purple plus button to the right of the podcast episode you want to download on your iPhone. Finally, tap the small cloud button that appears where the plus was when you tapped it. A small status circle will appear to the right of the podcast episode. 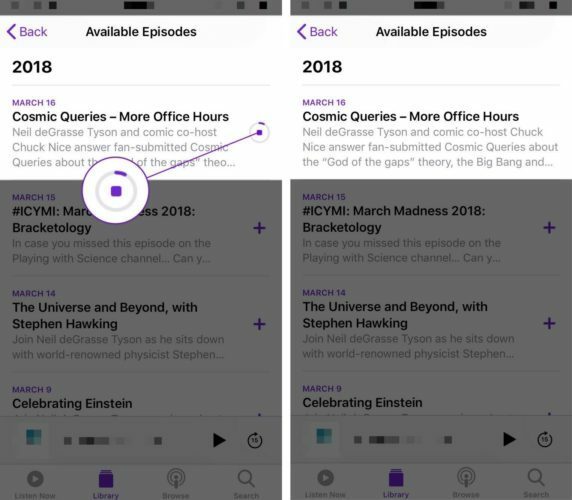 You’ll know it has been downloaded on your iPhone when there isn’t a small plus button, cloud button, or status circle to the right of the podcast. Downloading every podcast episode individually can be a bit tedious, but there’s an easy fix for that. 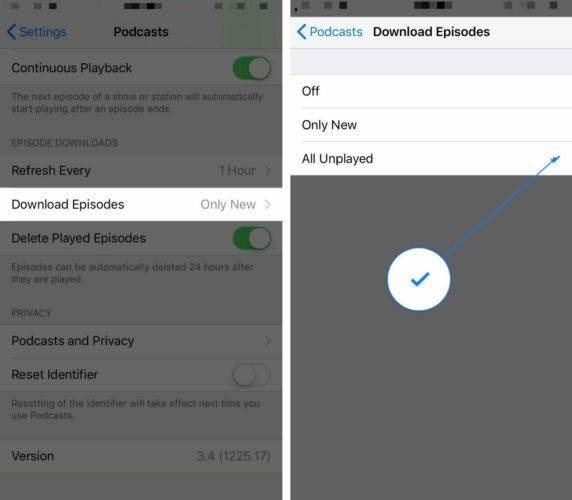 You can download every unplayed episode of a podcast from the Settings app. Go to Settings -> Podcasts and tap Download Episodes. Then, tap All Unplayed to download every episode of a podcast on your iPhone. You’ll know All Unplayed is selected when there’s a small check to its right. Check out our article if you can’t download podcasts on your iPhone. 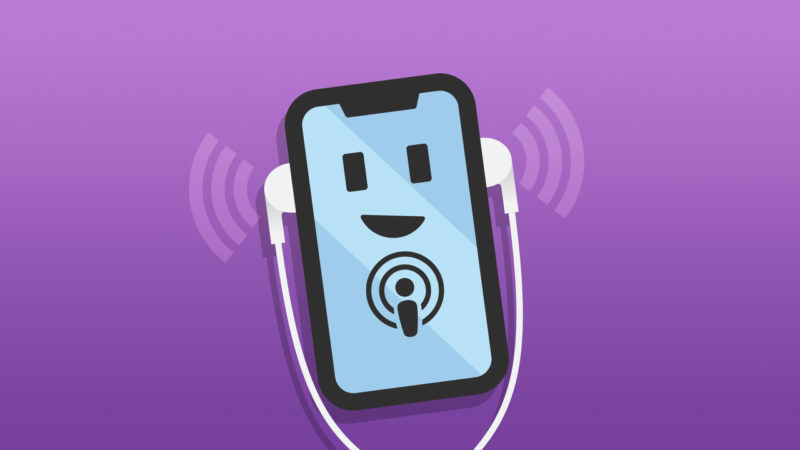 There are plenty of potential reasons why your iPhone won’t download podcasts, so we’ll help you diagnose and fix the real reason why you’re having trouble. You’ve successfully downloaded a podcast on your iPhone and you know how to download every episode at once. Make sure you share this article on social media to show your friends and family how to download podcasts on their iPhone. If you have any other questions about the Podcasts app, leave a comment below! Previous ArticleMy iPhone Won’t Connect To Wi-Fi. Here’s The Fix! Next Article iPhone Stuck On Update Requested? Here’s The Fix!